Learn how to make Paneer Tikka Masala Recipe | Restaurant Style Paneer Tikka Masala Curry with a simple video recipe tutorial. Paneer Tikka Masala is a popular North Indian curry which is extremely delicious, saucy, and luscious. This curry is best served as a dinner or lunch dish along with some homemade flatbread or steamed rice. This curry in essence is a comfort food at its best. In every bite of that vibrant colored sauce, you would get a sense of pure bliss. You would surely want to dive straight into this bowl of rich and delicate curry. Paneer Tikka Masala is an Indian curry dish which doesn’t need any introduction. This Restaurant Style Paneer Tikka Masala Recipe is one of such dishes which are popular all around the world. This is one of the most popular dishes ordered in the Indian restaurants worldwide. 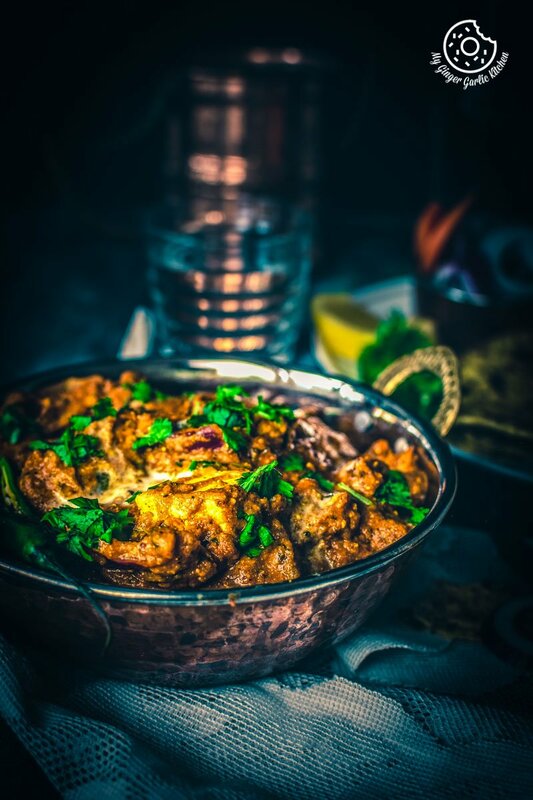 If for once, you just take a bite of naan dipped into this paneer tikka gravy, you would undoubtedly want to relish it again and again – that is the incredible food taste power. Trust me, no one can endure not relishing this simply lip-smacking, spicy, rich, slightly sweet and a fully soul-satisfying gravy. The creamy texture and blending of zesty spices in the sauce makes this curry so interestingly addictive. What is the main ingredient in paneer tikka? The name of this recipe displays as ‘Paneer Tikka’. So it is obvious that the Paneer aka Indian cottage cheese is the star ingredient of this paneer tikka. Then there is a second main thing which is a perfectly bright orange colored creamy sauce. This sauce truly shines this paneer tikka masala curry. How long can paneer tikka masala last? Paneer tikka masala can be kept in the fridge for up to 2-3 days. Simply reheat the curry before you eat it. Fresh or not so fresh, you’ll still savor the exotic flavorings in every bite. How do you make paneer tikka masala? You can effortlessly make this Restaurant Style Paneer Tikka Masala at home by following the simple steps below. The Paneer, onion petals and diced capsicum are marinated in a spicy and flavorful yogurt mixture. Marinated paneer and veggies are threaded onto a skewer and grilled/broiled/baked until golden. Then you make a creamy tomato based sauce using onion, ginger, garlic, tomato puree, some spices, and cream. 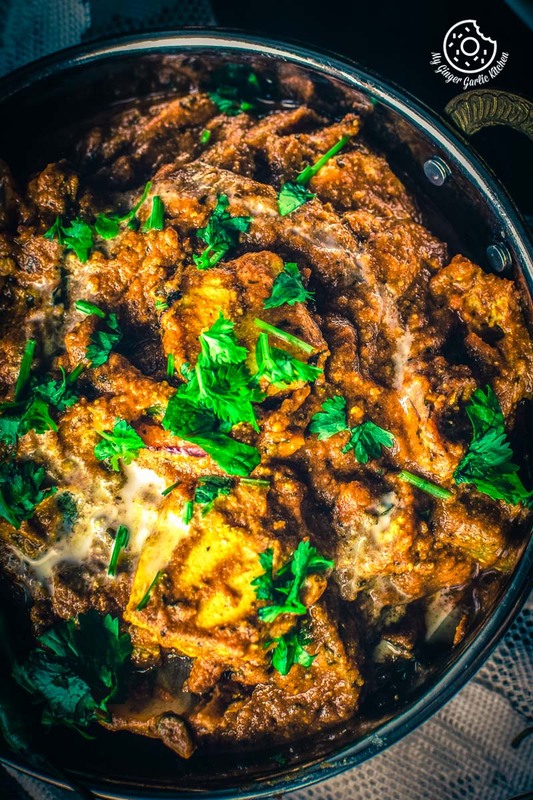 This sauce has a unique flavor due to Kasuri methi and garam masala powder. 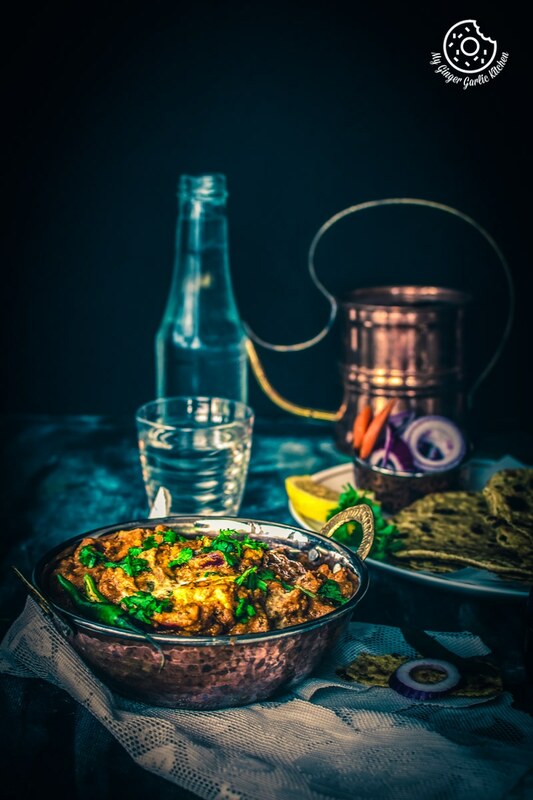 The paneer and veggies are then dropped into the bath of creamy and spicy sauce to soak up all the delicate flavors and richness of the sauce. Garnish with a drizzle of cream and chopped cilantro leaves. Can I marinate the paneer ahead of time? Yes, you can. In fact you should, because this is the recommended way. This curry making process takes some time, so it is always a good idea if you marinate paneer a day before. If you have guests coming over for a formal dinner then this is a great curry option for you to make. You can also make the ‘paneer tikka’ a day before, and add it to the gravy the next day. This way you would definitely save a lot of your time. How to eat Paneer Tikka Masala? Paneer tikka masala is a curry dish. It goes perfectly well along with any warm/hot flatbread such as plain naan, garlic naan, tandoori roti, paratha, or even plain roti. You can also have this restaurant style paneer tikka masala with some steamed rice to enjoy an absolutely scrumptious meal. What is the difference between PANEER TIKKA and PANEER TIKKA MASALA? Paneer Tikka is a dry dish which is served as an appetizer. Paneer tikka masala is a gravy dish made with paneer tikka. For Paneer Tikka Masala recipe, you’ll always have to make Paneer tikka first. But for Paneer tikka you don’t have to make gravy. Paneer Tikka Masala is usually served with naan or rice as a main meal. Paneer Tikka is served with some green Chutney. Is Paneer Tikka Masala Vegan? No, it is not. This Paneer Tikka Masala is Gluten free, vegetarian and can easily be made vegan by replacing the paneer (Indian Cottage Cheese) with tofu. Can I freeze paneer tikka masala? Yes, you can easily freeze this curry in a freezer-safe container for up to 1 month. Simply thaw this at room temperature and reheat in a microwave or stove when you want to eat it. What I personally like to do is that I add a tadka (tempering) of oil/ghee and some cumin seeds and about ¼ tsp of garam masala and then add it to the reheated paneer tikka masala. Believe me that one extra step of a simple tadka creates a huge difference. Tadka surely spruces the flavors and make it so irresistible. Why you should definitely try this Paneer Tikka Masala? I don’t think anyone needs any specific reasons for making this delightful curry. Try this tikka masala if you are craving for a delicate and succulent curry dish made with paneer. Paneer Tikka Masala is a 2-in-1 delicacy where you get an appetizer and a curry. 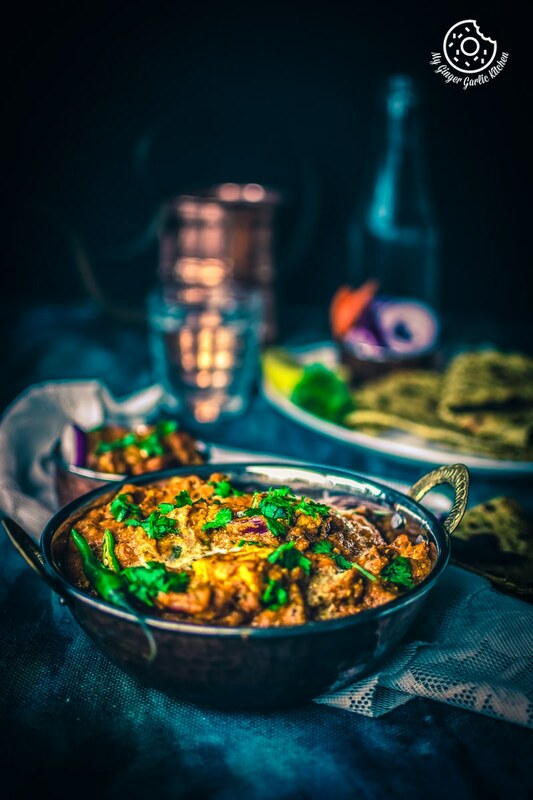 If you are planning to make Paneer Tikka Masala, then the first step of making this curry is ‘Paneer Tikka’, which is often served as an appetizer, or snack. 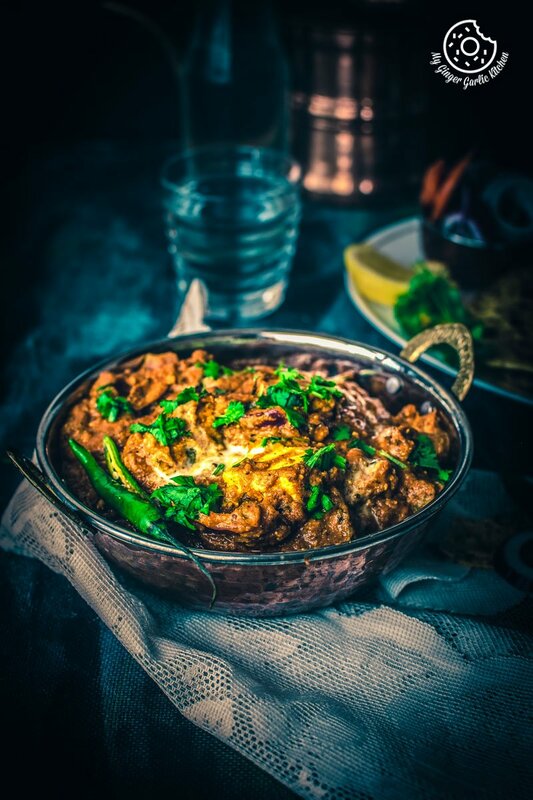 And when you add this tikka to an amazingly delicious gravy, you get ‘Paneer Tikka Masala’. Where to buy paneer cheese? In many countries, you can get paneer at your local grocery stores. However, if you don’t find paneer at your local store, then you can easily buy it from any of the local Indian grocery stores. Is Paneer Tikka Masala Hot? 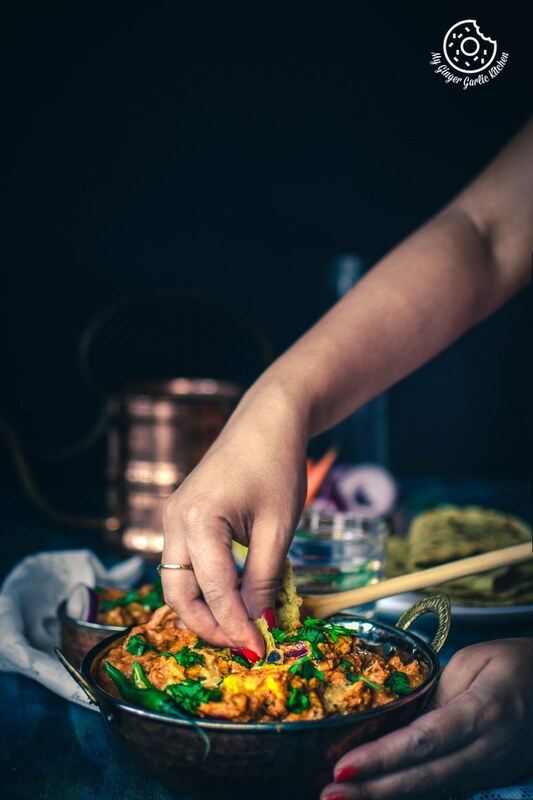 It is a natively hot curry, but the best thing about cooking this curry at home is that you can easily adjust the amount of hotness and other spices according to your taste buds. Paneer is an Indian style cottage cheese which is very good for health. Paneer dishes are very tasty. At the same time, this paneer is a good source of protein and fat. It is also low in carbohydrate. Doctors’ recommendation for eating paneer dishes once a week is really good for the body. So the answer is, if you eat ‘Paneer tikka’ in moderation, this is definitely beneficial and helps you keep in good shape. You can absolutely make it twice or thrice in a month. For this particular Paneer Tikka Masala recipe, you will need ‘Kasuri Methi’ aka ‘Dry Fenugreek Leaves’. I would highly recommend not skipping on this. This one crucial ingredient gives this curry a fragrant flavor and smell. You can easily get it at any local Asian grocery store. 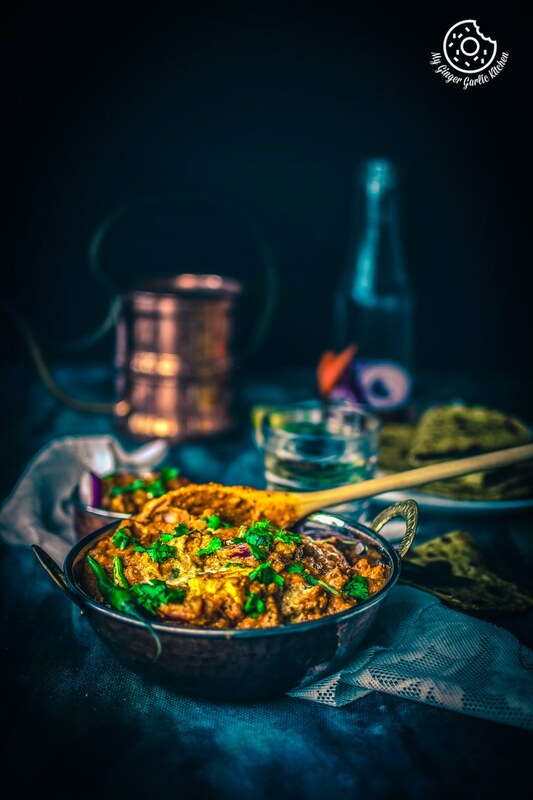 I have used store bought tomato puree for this recipe because the store bought puree is mildly sour and slightly sweet in taste and this is what exactly what we want in a Restaurant Style Paneer Tikka Masala Curry Recipe. It also gives this gravy a nice color. However, you can surely add freshly pureed tomatoes. The hung curd you are using for the marination shouldn’t be too sour. So always use full cream yogurt for making hung curd. Homemade Paneer is best for any paneer dish, but you can surely use store-bought paneer. For this Paneer Tikka Masala Curry recipe, I have grilled the paneer in a grilling pan. But you can use any of these 4 methods for making paneer tikka. I threaded paneer and veggies onto a skewer for making tikka. But you can definitely skip this threading part and grill them directly on a pan. I suggest using Kashmiri red chili powder for this recipe. It has a deep red color and is not too hot. Paneer Tikka Masala Recipe | Restaurant Style Paneer Tikka Masala Curry is a popular North Indian curry which is extremely delicious, saucy, and luscious. This curry is best served as a dinner or lunch dish along with some homemade flatbread or steamed rice. 1. Cut paneer into 1-inch cubes, set aside. 2. Slice the ends off your capsicums, then deseed and dice them into 1-inch quarters. Set Aside. 3. Slice the ends off your onions, then cut them in the quarter. 4. Pull out each layer, and you will have the onion petals. Set aside. 1. 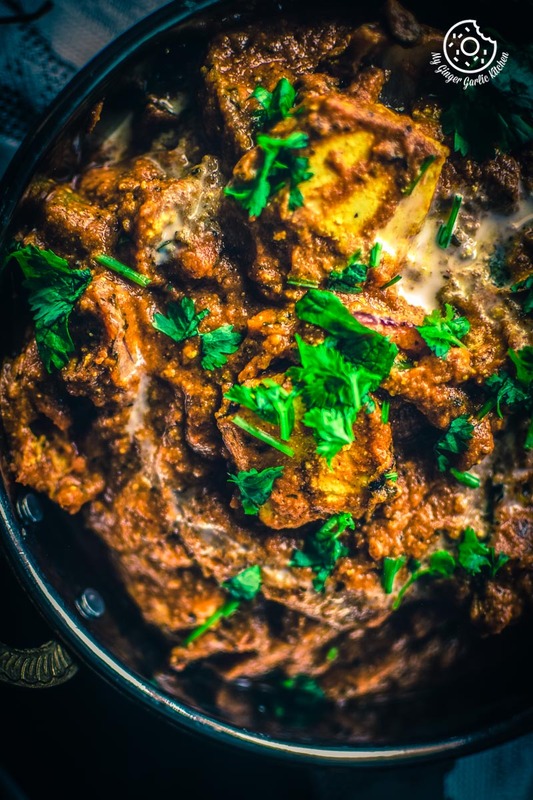 In a bowl mixing bowl add the hung curd, red chili powder, chaat masala, black salt, garam masala powder, black pepper powder, cumin powder, turmeric powder, salt, ginger garlic paste, and mustard oil. 3. Add the kasuri methi, lemon juice and mix well again. 4. Add paneer cubes, onion petals and diced capsicum to it. 5. Toss the paneer and veggies gently until coated well. 6. Refrigerate for 30 minutes to marinate. You can marinate it for up to 1-2 hours. 7. Preheat a grill for high heat. 8. Lightly oil the grill grate. 1. Lightly brush a tawa/grilling with oil. 2. Once hot, place the tikka skewers and grill until juices run clear, about 3-4 minutes on each side. 3. For the char perfection, place roasted tikka on a papad roaster, and let it cook for 1 minute on each side. (You can also put it over direct flame for 30 seconds on each side). 1. Heat butter and oil in a pan, add bay leaf and cinnamon sticks. 2. Sauté for a few seconds. 3. Add onion paste and sauté for 4-5 minutes. 4. Add ginger garlic paste and saute for 3-4 minutes or until the raw smell goes off. 5. Add tomato puree, fresh cream and mix well. 6. Sauté for 6-7 minutes or until until the mixture begins to leave the sides and the raw smell from tomatoes goes off. 7. Mix everything well and saute for 4 minutes or until the raw smell of the spices has gone. 8. Add 1.5 tsp sugar and mix well. Cook for 2 minutes. 9. Add 1/4 cup water, or more if needed to bring it to a desired consistency. 10. Mix everything well and simmer the sauce simmers until it thickens up. 11. When the gravy turns thick add the garam masala powder. 12. Mix everything well and continue to cook for another minute. 13. Add the grilled paneer tikkas to the gravy. 14. Mix gently and cook only for 2-3 minutes. 15. Drizzle with some fresh cream and garnish with coriander leaves. 16. Serve paneer tikka masala with roti, or butter naan. 1. For this particular Paneer Tikka Masala recipe, you will need ‘Kasuri Methi’ aka ‘Dry Fenugreek Leaves’. I would highly recommend not skipping on this. This one crucial ingredient gives this curry a fragrant flavor and smell. You can easily get it at any local Asian grocery store. 2. I have used store bought tomato puree for this recipe because the store bought puree is mildly sour and slightly sweet in taste and this is what exactly what we want in a Restaurant Style Paneer Tikka Masala Curry Recipe. It also gives this gravy a nice color. However, you can surely add freshly pureed tomatoes. 3. The hung curd you are using for the marination shouldn’t be too sour. So always use full cream yogurt for making hung curd. 4. Homemade Paneer is best for any paneer dish, but you can surely use store-bought paneer. 5. For this Paneer Tikka Masala Curry recipe, I have grilled the paneer in a grilling pan. But you can use any of these 4 methods for making paneer tikka. 6. I threaded paneer and veggies onto a skewer for making tikka. But you can definitely skip this threading part and grill them directly on a pan. 7. I suggest using Kashmiri red chili powder for this recipe. It has a deep red color and is not too hot. 8. Adding sugar is optional.